Protect your baby and protect your crib. 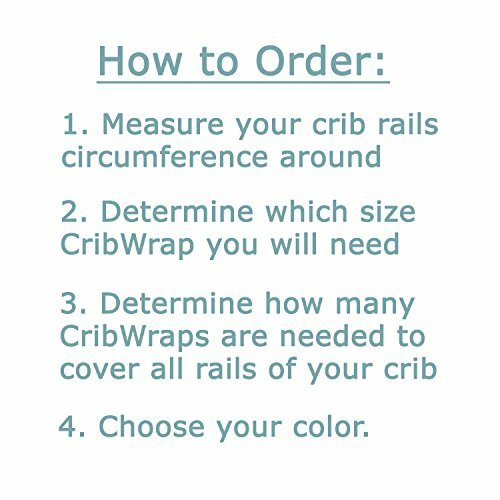 Trend Lab’s two pack of CribWrap Short Rail Covers for narrow crib rails is the perfect solution for protecting your crib and teething baby. With super soft navy sherpa fleece on the top, a light padding in the middle and waterproof backing, you no longer have to worry about your baby ingesting wood or harmful toxins. 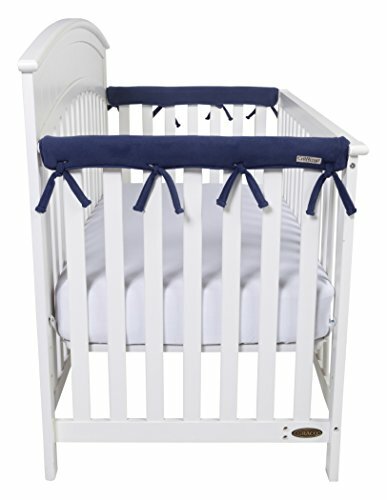 Just wrap and tie on this simple solution to protect your baby and crib rails from teeth marks and drool discoloration, and to preserve your crib investment for years to come. Short rail covers each measure 27 in x 6 in with 6.5 inch ties. 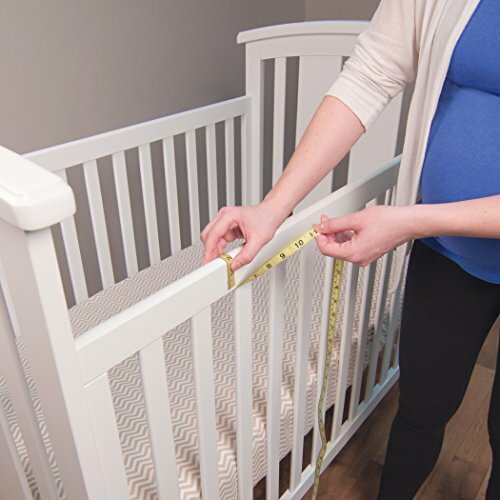 Fits crib rails measuring up to 8 inches around. Also available in one long rail piece sold separately. CribWrap Rail Covers are PVC, lead and phthalate free.